After a slow start to the competition the group stages have ended with a bang! An incredible performance by the boys in green has secured our place in the last 16 of the competition for the first time ever. As we look ahead to the knock out stages our own competition has seen significant change at the top. Padraig Ryan has taken the lead on 65 points and a 61% success rate. Padraig is followed closely by Kevin McDermott on 63 points. Behind Kevin in joint 3 is the chasing pack made up of Tony Connell, Jonny Lennon, John O’Donoghue, Brid Clerkin and John Duane who are all on 62 points. At the other end of the table, Niall O’Hanlon has hauled himself out of the relegation places, but Dave Walsh is still in trouble with both his forecasts!The full table can be viewed in the excel file. With up to 20 points up for grabs in the final matches it’s all to play for. Remember in the event of a tie it’ll go down to total number of goals scored in the tournament. Based on the average number of goals per game (1.9) we’re heading for 98 goals. Best of luck to everyone and COYBIG!!! It is with regret that we advise you of the death of Eamonn Mooney (ex Head Office Facilities) on June 21st, 2016, suddenly. Beloved husband of Joan and dear father to Keith, Gavin and Joanne; he will be sadly missed by his loving family, wife, sons, daughter, mother, brother, sisters, grandchildren, nieces, nephews, extended family and friends. Reposing at his home Saturday, June 25th. Removal on Monday, June 27th, to St. Mark’s Church, Springfield arriving for 10am Mass and afterwards to Newlands Cross Cemetery. All enquiries to Fanagans Funeral Directors, Tallaght – 01 451 6701. Reposing at Hehir’s Funeral Home with rosary on Thursday evening at 7pm. Funeral Prayers on Friday morning at 10am followed by Removal to St. Mary’s Cathedral for 11am Requiem Mass. Burial afterwards in St. Kieran’s Cemetery. 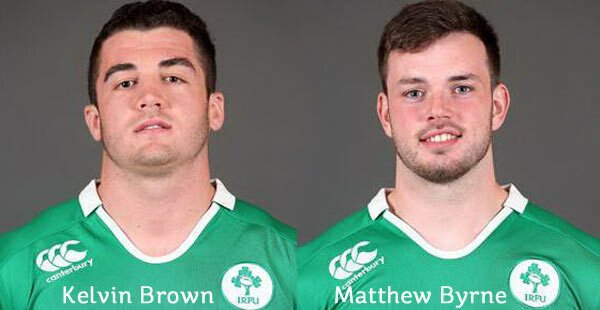 Congratulations to Matthew Byrne and Kelvin Brown who are part of the Irish Squad who play England in the Under 20 Rugby World Cup Final on Saturday in Manchester. Matthew’s mother is Michele Clarke who works in Payroll Operations in the BSC and Kelvin’s father is Harold Brown who works in Ardnacrusha. This is the first time that Ireland has reached the Final and after a fantastic campaign where they have defeated Wales, New Zealand and Argentina we wish them and the Irish squad the best of luck in the decider. I wish to inform you of the sudden death of Ciaran Hannon (Roscommon Town), brother of Bernie Lennon, CSB, Athlone. The funeral details are below. Our thoughts and prayers are with Bernie and her family at this time. Reposing at Smyth’s Funeral Home, Roscommon on Sunday from 4 o’c until 6 o’c followed by Removal to the Sacred Heart Church. Mass of the Resurrection on Monday at 11.30 o’c followed by private cremation. He died following a short illness surrounded by his loving family in the kind care of the staff of I.C.U Mater Private, beloved partner of Annette and loving dad of Maria, Fiona and Aindreas; sadly missed by his loving partner, children, sons-in-law Mick and Roy, daughter-in-law Mag, grandchildren Colm, Ashling, Conor, Mark, Hayley, Sophie and Scott, Annette’s son Peter, Celia, brothers Pat and Sam, sisters Nancy and Joan, nieces, nephews, extended family and friends. Reposing at the Brian McElroy Funeral Home, Crumlin Village, on Friday from 10am to 7.30pm with family in attendance from 5.30pm to 7.30pm. Funeral on Saturday after 9am Mass in Church of St. Paul of the Cross, Mount Argus, to Confey Cemetery, Leixlip. Family flowers only, please. Donations in lieu to D.S.P.C.A.